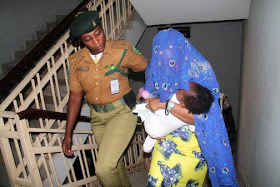 woman, Maryam Sanda, to enter defence in her ongoing trial on murder charge, in which she is, among others, accused of killing her husband, Bilyaminu Bello. Justice Yusuf Halilu, in a ruling yesterday, rejected Mrs. Sanda’s no-case submission and rejected her prayer to be discharged and acquitted. Justice Halilu upheld the no-case submission by Mrs. Sanda’s three co-defendants and discharged and acquitted them on the grounds that the prosecution failed to establish a prima facie case against them. 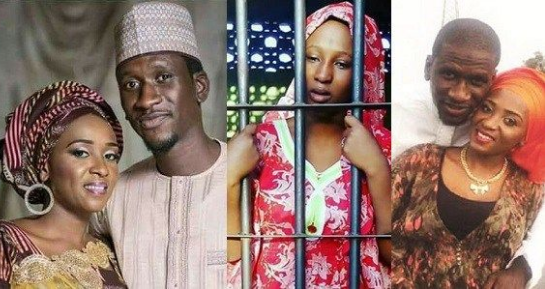 Mrs. Sanda allegedly stabbed her husband, who was said to be a nephew of a former Chairman of the Peoples Democratic Party (PDP), Haliru Bello, to death in Abuja on November 19, 2017. She was arraigned with her mother, Maimuna Aliyu; her brother, Aliyu Sanda; and their house help, Sadiya Aminu. The prosecution had charged Mrs. Sanda with culpable homicide, and offence punishable by death, under Section 221 of the Penal Code Act. The offence is said to be punishable under Section 167 of the Penal Code Act. At the closure of the prosecution’s case, the defendants made no-case submissions on which the court ruled yesterday. The prosecution closed its case on January 22, after calling six witnesses. Justice Halilu, in his ruling, said: “The no-case submission of the 2nd, 3rd and 4th defendants is hereby upheld and they are hereby discharged and acquitted. According to Justice Halilu, the preponderance of evidence adduced by the prosecution, through its six witnesses, created “a thick cloud”, warranting the 1st defendant to present her own side of the case. The judge adjourned till May 6 for Sanda to present her case.